Our Gifted Testing Flash Cards include 72 cards with up to 160+ learning activities total. 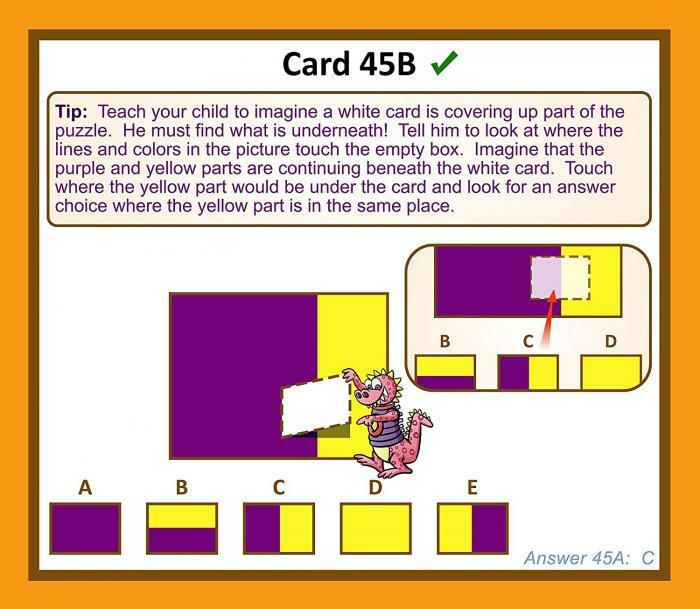 The set includes a combination of “teaching” and “practice” cards with bright, fun characters that reinforce concepts through playful parent-child interaction + tips on solving spatial reasoning questions on gifted tests. 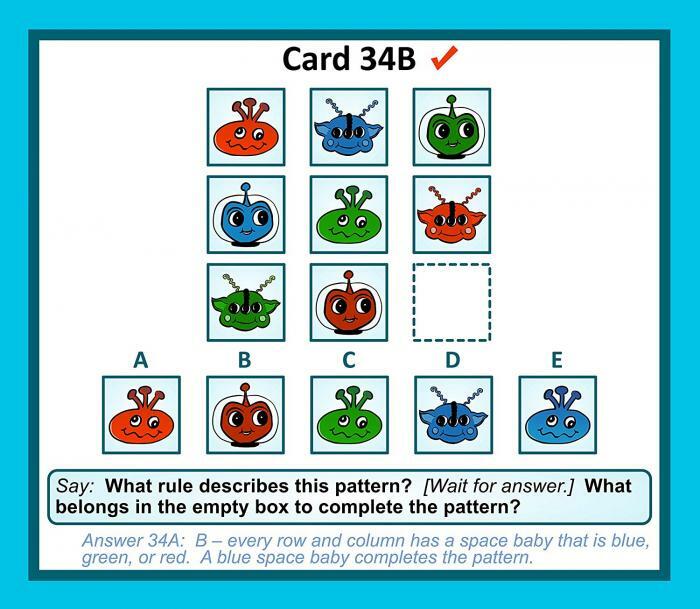 Teach children the concepts using flash cards that they need to score well on early childhood non-verbal assessments, including the NNAT test, CogAT test, OLSAT test, NYC Gifted and Talented, Raven’s Matrices, WISC, WPPSI, WNV, SAGES, KBIT-2, AABL and more! 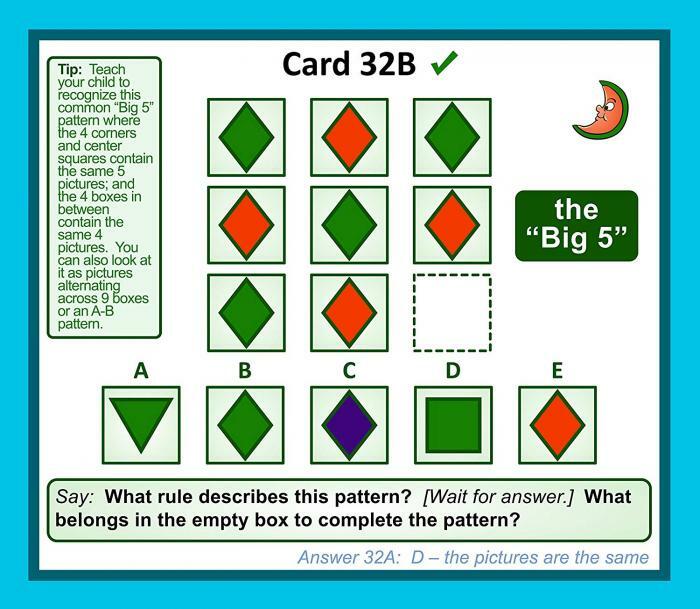 Practicing the cards sequentially will teach your child how to solve a variety of visual-spatial puzzles and think through various non-verbal challenges. They contain all the easy-to-hard concepts Pre-K to 2nd Graders need to master for testing and school success. 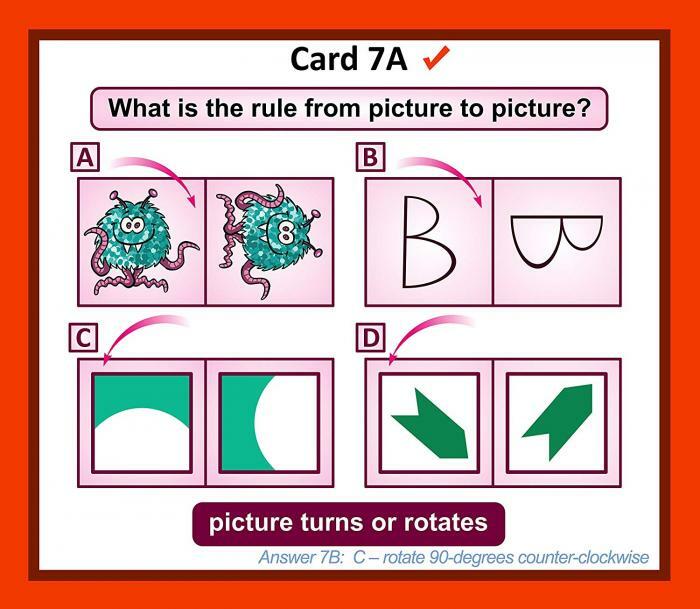 On the back of each card, you’ll find additional questions to ask your child to deepen his or her understanding of each concept. You’ll enjoy hours of play and learning. If the cards get dirty, just wipe them off – the smudge proof finish makes them easy to clean. Gifted Testing Flash Cards are not just for students applying to gifted programs – learning to think and solve problems using shapes and figures helps a child think, read, interpret graphs, diagrams, and maps, do math, science, geography, and more! Provides Hours of Offline Fun! Offers you and your child the chance to play and learn together while reducing screen time. Go through the flash cards with your child to learn each concept, then reinforce them throughout the day for lasting learning. 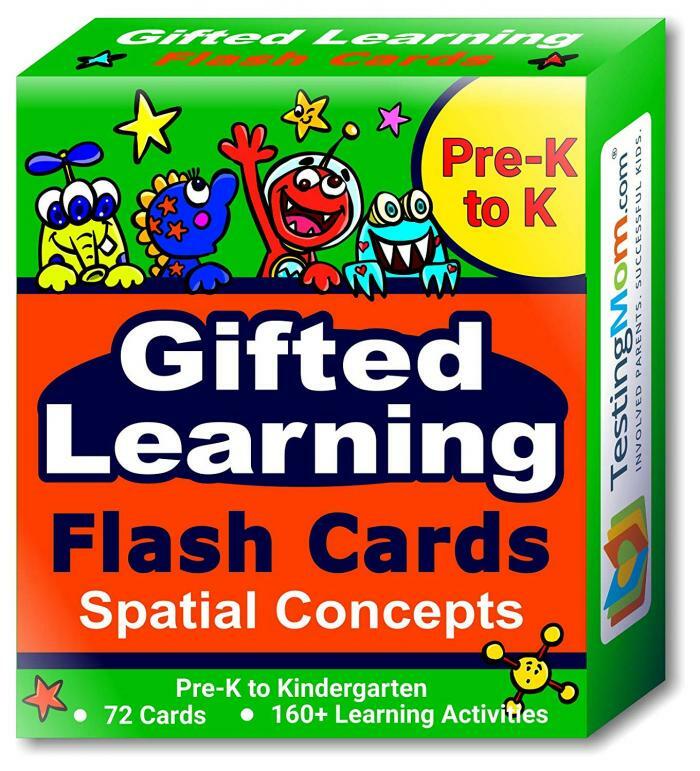 Plus, while you play with the Gifted Testing Flash Cards, you’ll be preparing your child for better scores on early childhood non-verbal assessments. A high score can open doors to gifted and talented, GATE, or G&T programs, as well as placement in advanced groups in public school and entrance to competitive private schools.